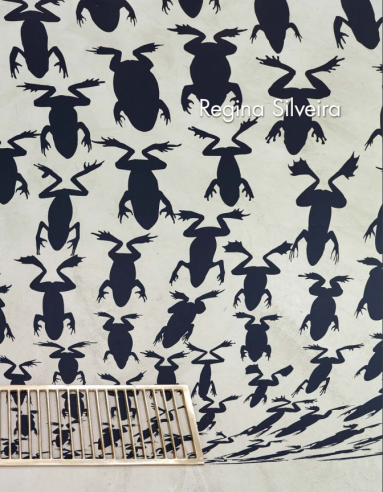 Alexander Gray Associates presented an exhibition of work by multimedia artist Regina Silveira. 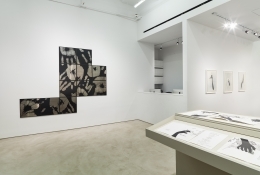 The works on view emphasize Silveira’s use of graphic visual language through accumulation and skewed perspective to transform our perception of spaces. 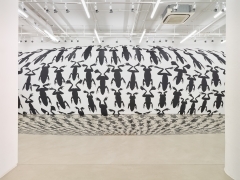 Throughout more than four decades, Silveira, a critical figure in Brazilian conceptual art, has investigated the tension between movement and spatial perspective, threading political meaning into installations that respond to specific sites. 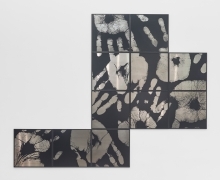 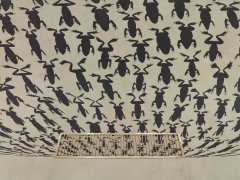 Silveira’s large scale vinyl installations are informed by her study of printmaking techniques, which provide what she considers a “dry syntax that eschew[s] autographic aspects,” and allow for the reproduction, re-scaling and distortion of photographic images. 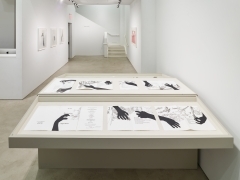 In Touch (2016), the artist employs traditional engraving to explore “ideas of absence, the marks reveal an event that took place in time,” in this case a hand reaching out and imprinting it’s image on metal. 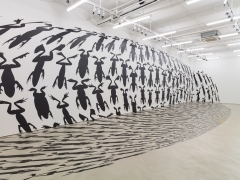 Silveira imbues this seemingly quotidian shape with mystery and fantasy by producing larger than life handprints, resulting in phantasmagorias and visual enigmas. 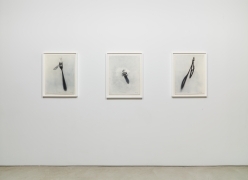 Silveira’s most recent photoetchings, the Voodoo Series (2015) further question the reality of occurrence and the nature of representation. 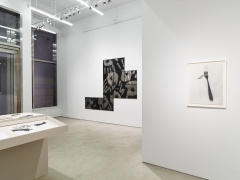 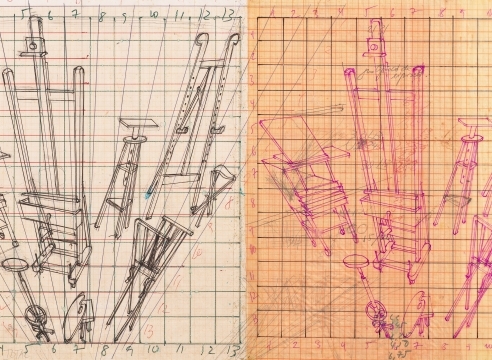 These images rely on Silveira’s longstanding interest in skiagraphia (the study of shadows) as well as the transformation of ordinary objects into potentially threatening tools. 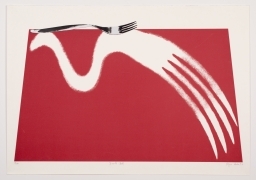 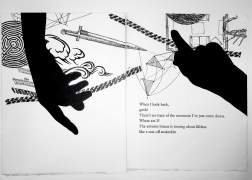 Images of forks, screws, and scissors appear to pierce the paper on which they are reproduced, to cast shadows that render a three dimensional quality to the printed image.